We would like to thank all our sponsors who contribute to our league in an effort to bring the joy and excitement of little league baseball to the youth of our community. Without the generosity of our sponsors giving back to the community, we would not be able to provide our children with the playing fields and equipment to play baseball. Show your appreciation by using their products and services. Thank you to all our 2013 Season League Sponsors!!! American Auto Body Specialist, Inc.
My name is Jim Inglebright and I would like to introduce myself and our company to you. I know in today's automotive repair world that customer satisfaction is a priority. This is why American Autobody Specialist is a leader among the autobody industry. Our company is family owned and operated on a daily basis. I encourage you to contact us at (707) 427-3463 for any additional questions you may have. We look forward to helping you in obtaining the same goal in an ever-changing industry where customer satisfaction is a top priority! Thank you Annie Vogelpohl & Cynthia Maes Real Estate for your support! As the preeminent real estate professional in our community, Annie Vogelohl is dedicated to providing the finest service available while breaking new ground. She constantly researches the market and property values so your home is priced effectively from day one. She also makes sure the public knows your home is for sale by using innovative advertising and marketing techniques to attract potential buyers. Call Annie for your homebuying and selling needs. Located on the Suisun Marina, the Cast Iron Grill and Bar offers the best food and the finest atmosphere in the city. Situated in one of Suisun's newest developments, Cast Iron Grill and Bar is the destination for excellent food, comfortable surroundings and friendly service. Proud sponsor and supporter of our FPLL Concessions! Thank you Chevys Fresh Mex of Fairfield for your support! 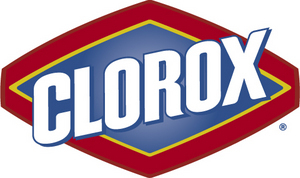 Thank you Clorox Manufacturing Plant of Fairfield for being a league sponsor! See Keith Paulsen, FPLL parent and shop owner for all your automotive repairs. Keith offers full service auto repair. Thank you Keith for your generous support and league sponsorship as well as your team sponsorship of the Majors Blue Jays. At FASTSIGNS® of American Canyon, CA, you get visual communications solutions including sign and graphic consultation, design, production, delivery and installation services. Whether you need architectural signs, vehicle graphics, point-of-purchase posters or a building identification sign, we can help. Meet your objectives - realize your full potential - and let us make you look great! Thank you Fairfield Professional Firefighters Association for your support and League sponsorship! Proud sponsors of Fairfield Pacific Little League! Thank you Raymond & Teresa Courtemanche and the Matt Garcia Foundation for your support and generous contributions to the youth of our community! Matt was a former Fairfield Pacific Little League player then later became our youngest City Councilman and Fairfield community leader promoting youth programs. He quickly became a positive influence in his short-lived life as a public servant and his mission to provide a place where the youth of our community can live without violence will continue to live long beyond his passing. Thank you for keeping his dream alive with your continuous support with our building project. Founded in 1959 by Mary Fazio, Mary's Pizza Shack continues the same quality food, passion and traditions today. Mary's Pizza Shack provides homemade Italian food at reasonable prices. From one single "shack", Mary's has grown to 18 full-service casual Italian restaurants in Sonoma, Napa, Marin, Solano, Placer, Shasta and Contra Costa Counties. Thank you Mary's Pizza Shack for your support! We offer towing and roadside service 24 hours a day, 7 days a week, 365 days a year. We service the following cities: Fairfield, Suisun, Vacaville and Travis Air Force Base. If you have questions about our towing and roadside service, please don't hesitate to call us at (707) 434-9560. Practice Limited Exclusively to Children & Adolescents* Saturday by Appointment Only* Dennis Paul Nutter, D.D.S. * Irma L. Garcia, D.D.S. * Jan Gerber, D.D.S. Proud donor of Fairfield Pacific Little League! Thank you for your continued support for Fairfield Pacific Little League. The Sports Authority sporting goods store in Fairfield is dedicated to providing our Fairfield customers with the best shopping experience possible by consistently providing great brands at great values. We are dedicated to increasing that value by providing industry-leading customer service and product knowledge. We are dedicated to you, and helping you take your game to the next level. If this is what you have been looking for in a sporting goods retailer, then you have come to the right store! Thank you Carl Webster and Star Sports for your continued support as a League and Team sponsor of our Triple-A Astros team! Our Dealership has built a reputation on providing courteous, honest service. Our customers appreciate the way we do business, and we know you will too.As a family owned and operated dealership, Steve Hopkins Honda provides personalized customer service that is lacking at so many of our corporate-owned competitors. Thank You Valero Refinery - Benicia and Phil San Antonio for your Generous Support to our Field of Dreams Building Project! The Field of Dreams project got a boost from a grant in support of creating new baseball fields for the more than 400 children and families who participate in the league with a $25,000 donation! Thank you!!! With a focus on providing aggressive, results oriented, and cost effective legal services, The Wager-Smith Law Firm has distinguished itself as a leader in the representation of healthcare and business professionals in malpractice, business, and employment litigation. The Wager-Smith Law Firm is comprised of experienced attorneys who offer an unwavering commitment to achieving our clients litigation goals. Thank you James A. Wager-Smith, Attorney at Law and the Wager-Smith Law Firm for their generosity and support. Thanks for being a League Sponsor! Let's give thanks and patron our generous team sponsors who support our league and teams! When you visit any of our sponsors, please thank them for supporting Fairfield Pacific Little League. Proud sponsor of the Triple-A White Sox team! Thank you Bab's Delta Diner! Proud sponsor of the A Yankees team! Proud sponsor of the Double-A Nationals! Proud sponsor of the Triple-A Athletics! See Keith Paulsen, FPLL parent and shop owner for all your automotive repairs. Keith offers full service auto repair. Thank you Keith for your generous support and league sponsorship as well as your team sponsorship of the Majors Blue Jays! Thank you Fairfield Firefighters! Proud sponsor of the Majors Giants team! Thank you Fairfield Fire Managers! Proud sponsor of the Majors A's team. Thank you Floor Dimensions! Proud sponsor of teh A Giants! Thank you J L Skye! Proud sponsor of the AAA Cubs! Proud sponsor of the Double-A Mets team! Thank you McGrath Electric! Proud sponsor of the A Cardinals! Thank you North Bay Healthcare! Proud sponsor of the A Cubs! Thank you Patch Services! Proud sponsor of the A A's team! Our mission is to help people manage the risks of everyday life, recover from the unexpected and realize their dreams. Proud sponsor of the AAA Yankees team! Proud sponsor of the Triple-A Marlins team! Serving Fairfield, Suisun City, and Vacaville, California - Dr. Robert Quinn and Dr. Bryan Scott are your orthodontic specialists, offering Invisalign and clear braces for children, teens, and adults. Proud sponsor of the Double-A Cubs! Scandia Family Center is nine acres of entertainment for the entire family. We feature two award winning miniature golf courses, state-of-the-art Lasertron Lasertag arena, lil indy raceway go karts, waterbugs, baseball batting cages, clubhouse for kids playground, huge arcade and great food. We also throw the best parties around. We offer everything from simple birthday parties to grad nights to corporate team building. No matter what the occasion, we strive to make every moment you spend with us a memorable one. Sponsor of this season's Majors Orioles team. A high energy Rock'n Country sound that is very unique. 3 rock musicians with a great country singer bringing a huge full sound and getting people on their feet. Come join Terry Sheets Band at their next event! Long time parent and coach of Fairfield Pacific LL and proud sponsor of the Majors Tigers Team! Thank you Jeremy Peacock and Three D Electric for your generous support. Proud sponsors of our Triple-A Giants team! Thank you Three D Electric Company! Proud sponsor of the AAA Giants team!